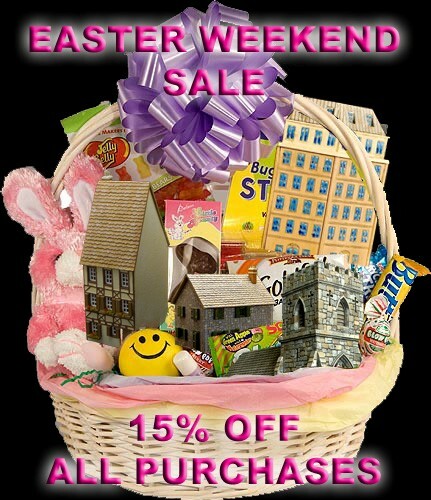 The GCmini Easter Weekend Sale has started and ends on Monday April 22 at midnight. When you check out, please use the coupon code BUNNY15 to receive the discount. Coupon cannot be combined with other discounts or other coupon codes. This discount cannot be combined with other coupon codes or rewards certificates. 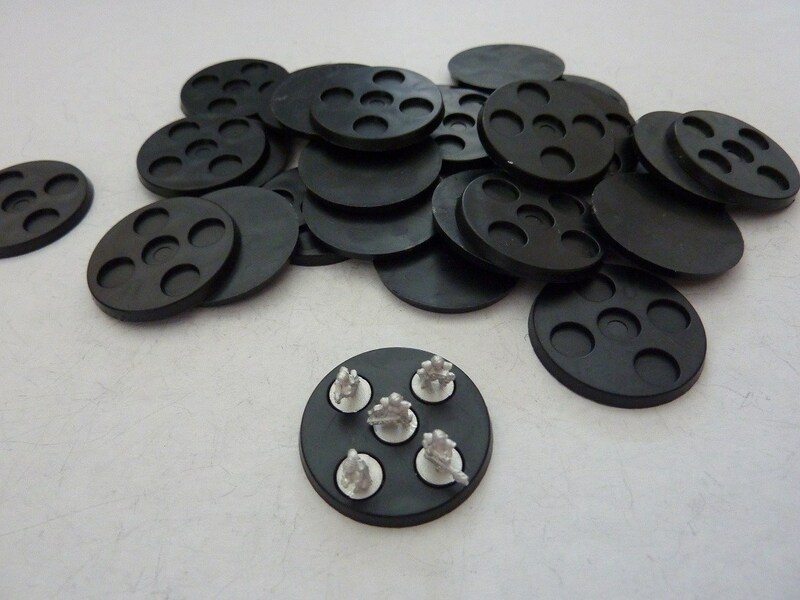 Back in stock today we have the very popular 25mm round plastic bases. Please note that these bases now come with a bevelled edge, a necessity for manufacture and so will not be 100% compatible with the originals. 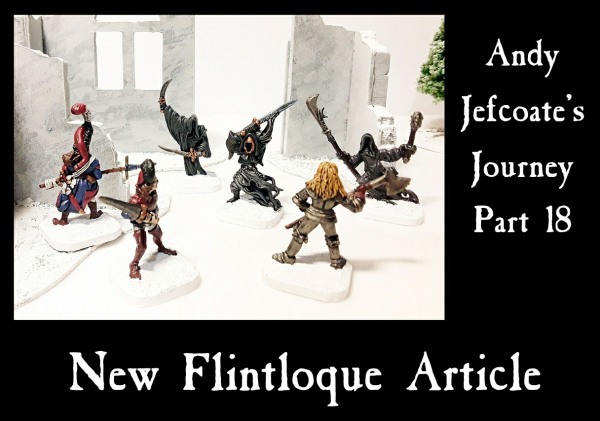 Following up on his two article look at the Crystal Elves now Andy Jefcoate is looking at other Alternative Armies 28mm high fantasy miniatures which can be put into Flintloque. This time it is the 28mm Wraiths of the VNT Range. If you missed any of the previous seventeen articles you can see them all for free on the blog. A variety of adventures in Flintloque mainly set in the Witchlands. If you would like to Begin in Flintloque visit our website for Escape the Dark Czar and free content and videos. After the first few days, those who fled the city spread the word and cried for help. The Order of our Martyred Lady was the first to answer their call and sent one of their most rising inquisitors to assess the situation and take measures. Her name… is for you to decide! 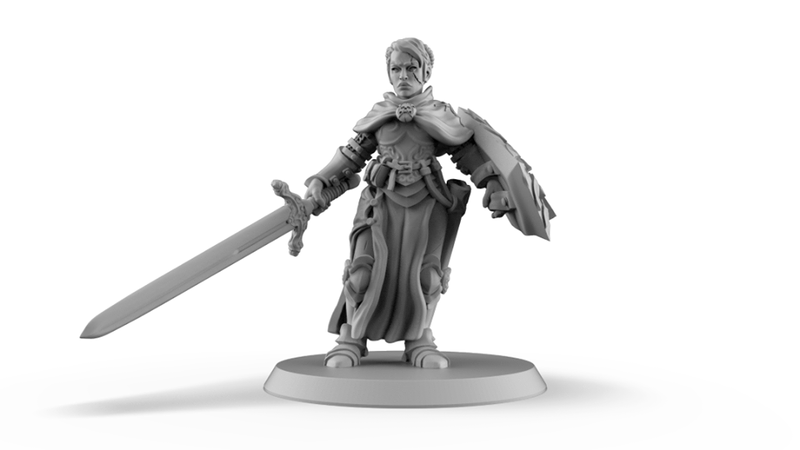 Post in the comments a name and who knows, you might get an honourable mention as the godfather (or mother) of our Human Inquisitor miniature! If that's not enough, feel free to join our Facebook group HERE where you can ask anything about the project, miniatures & future stretch goals of this Kickstarter campaign. Whoop – the broadband is back ! Because of the Good Friday holiday I won’t be able to post any orders until the weekend, but I should get fully up-to-date with orders today and post everything in one big hit on Saturday. This rest of week will be a bit of a bonanza for our Small Scale Scenery customers as we add all of the Salute releases to the website. 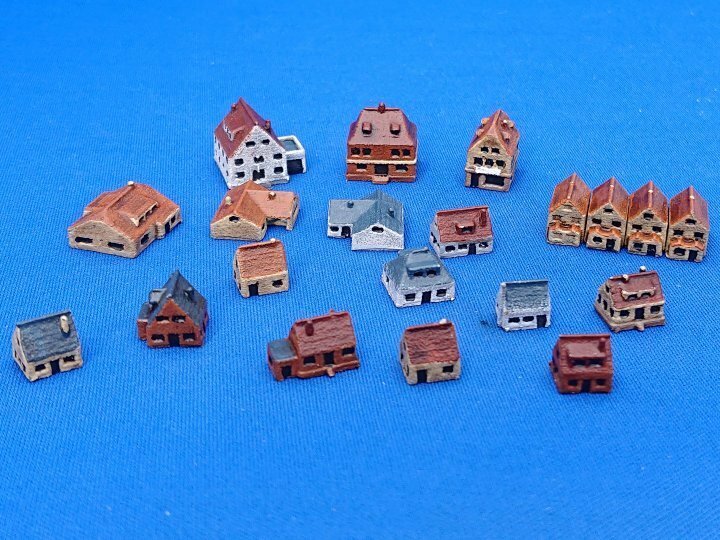 The first additions today are the two German sets, the Post War Village and the Churches pack. The village contains twenty separate buildings including a small Town Hall, an Inn and a shop. The mix of houses includes several single storey bungalows. 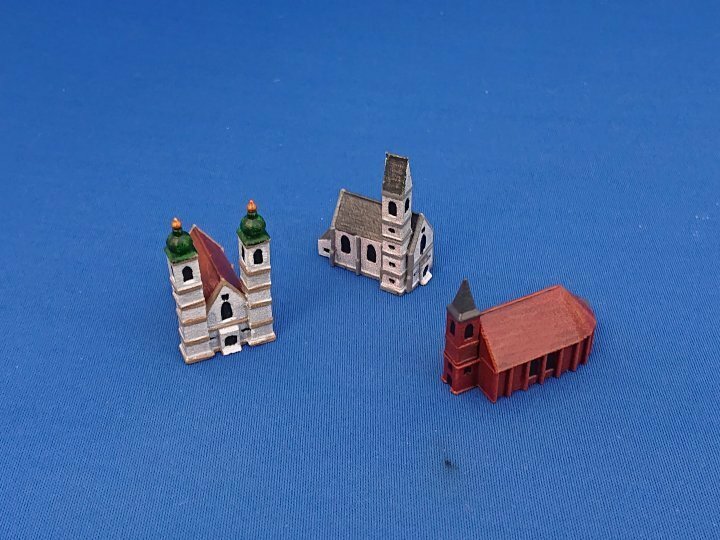 The three churches have interchangeable towers, and two of each type are supplied allowing you to mix and match.